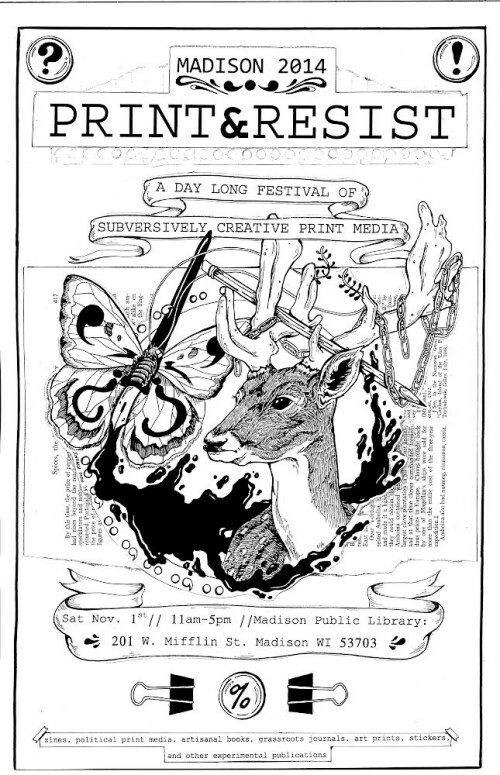 Madison Print & Resist is a one-day show of printed matter, including posters, stickers, zines, journals, and books. The roster of exhibitors is drawn from the world of experimental publishers, visual artists, artisanal bookmakers and printers, radical imprints, grassroots zine authors, and activist designers. The exhibitors hail from across Wisconsin and from around the United States. They include an array of subversively creative print media artists and publishers. For a full list of exhibitors, visit the Madison Print & Resist website.